Kolkata: In a bid to enhance maritime security and bolster search and rescue operations, Coast Guards of India and Bangladesh on Tuesday began a two-day drill in the Bay of Bengal.The naval mass rescue exercise aims at increasing the proficiency of both Coast Guards in taking up challenges of search and rescue operations in adverse conditions. "The Bay of Bengal is a hot spot of maritime trade and ships of both countries are at risk. A strong search and rescue set-up is the need of the hour," said Kuldip Singh Sheoran, Indian Coast Guard Regional Commander (North East), here. Dubbing the sea operations a "complex mechanism" involving many stakeholders and foreign nations, the commander said the exercise aims to give the Coast Guard men a real feel of the challenges involved. Commander Mohammad Radwan and Lt. 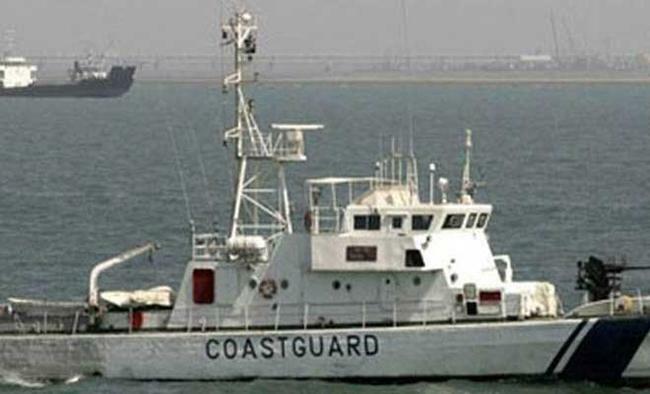 Commander Fariduzzaman from the Bangladesh Coast Guard said people along coastal regions of both the countries would benefit from increased security patrolling and rescue operations once the Standard Operating Procedures are established between India and Bangladesh. During Prime Minister Narendra Modi's visit to Bangladesh in 2015, a memorandum of understanding was signed between the two Coast Guards for setting up collaborative relationship to combat transnational illegal activities at sea and development of regional cooperation between the forces.The Indian Coast Guard rescued 33 Bangladeshi residents found adrift at sea over 100 miles from Chittagong coast during Cyclone Mora in Bangladesh in May.